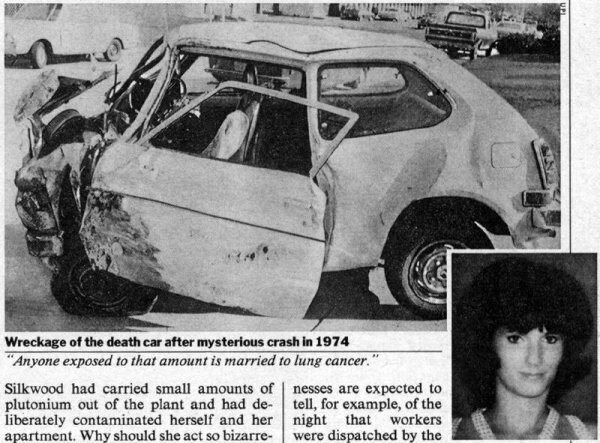 Car in which Silkwood died. Lower Right: Karen Silkwood. 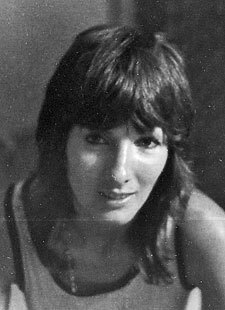 PBS Frontline, "The Karen Silkwood Story"
"Silkwood Settlement." Science News, August 8, 1986, p. 134. Spence, Gerry. With Justice for None. New York: Times Books, 1989. Stein, J. "The Deepening Mystery." Progressive, January 1981, pp. 14-19. Meryl Streep as Karen Silkwood in the 1983 movie Silkwood. Silkwood. 20th Century Fox (1983)(Michael Nichols, director; starring Meryl Streep as Silkwood).